Jerome Pesick is the managing shareholder of SPC. His practice areas include eminent domain, condemnation, land use, and property taxation. During his 35 years in practice, Mr. Pesick has tried and settled condemnation cases throughout the State of Michigan for tens of millions of dollars. He has also regularly represented clients in major property tax appeal cases involving all types of business properties throughout Michigan. Mr. Pesick was lead counsel on behalf of property owners in the largest eminent domain verdict in Michigan history. The original government offer was $13.7 million for a 6.3-acre piece of property on the Detroit River. The verdict rendered was $25 million. Mr. Pesick has been selected by his peers to be included in the 2007, 2008, 2009, 2010, 2011, 2012, 2013, 2014, 2015, 2016, 2017, and 2018 editions of The Best Lawyers in America”® in the specialties of eminent domain and condemnation law. He was also selected by Best Lawyers© as the “2011 and 2014 Eminent Domain and Condemnation Lawyer of the Year” for the Detroit area, and 2016 and 2018 “Eminent Domain and Condemnation Lawyer of the Year” for the newly created Troy area which includes most of the major communities in Oakland and Macomb Counties. He was selected by “Michigan Super Lawyers” as one of the top attorneys in Michigan in 2006, 2007, 2008, 2009, 2010, 2011, 2012, 2013, 2014, 2015, 2016, and 2017 has been included five times in the “Top 100 Michigan Lawyers,” and was named one of the “Top 50 Michigan Business Lawyers” in 2013. Mr. Pesick's memberships include: State Bar of Michigan, where he is a Member of the Sections on Litigation and Real Property. 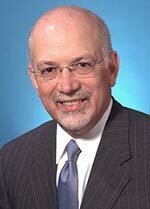 He is a past Chair of the Real Property Law Section, served as Chair of the Real Property Law Section's Eminent Domain Committee for seven consecutive years, and is also a Member of the Section's State and Local Taxation Committee; American Bar Association, where he is a Member of the Section on Litigation, Committee on Condemnation, Zoning, and Land Use; and the Oakland County Bar Association, where he served as Chair of the Circuit Court committee from 1997-1998. Jerome Pesick is the former associate editor of the University of Detroit's Journal of Urban Law. He is also the author of several articles on eminent domain, including "Governmental Damages, Real Estate and Related Damages Resulting from Intentional and Unintentional Government Acts," "Recent Cases Clarify Eminent Domain Litigation Questions," "Calculating Just Compensation in Partial Taking Condemnation Cases," "Recent Changes in Eminent Domain Law," and a chapter on Eminent Domain in Michigan Institute of Continuing Legal Education's publication on municipal law. Mr. Pesick is also a frequent speaker, instructor, and lecturer at state and national eminent domain conferences. He is frequently contacted by business reporters from print and electronic media, including Crain's Detroit Business, The Detroit News, Detroit Free Press, WDIV TV 4, WXYZ TV 7, and WWJ Newsradio 950, for his expertise on condemnation law. Mr. Pesick has represented clients in major condemnation projects in Michigan for over three decades, including Poletown, Detroit Waterfront Casino and Reclamation Project (casinos), Comerica Park and Ford Field (Detroit's baseball and football stadia), I-696, M-59 (Hall Road), M-5 (Haggerty Connector), Northwestern Connector, Van Dyke Highway, Detroit Metropolitan Airport Expansion, Wayne State University Welcome Center, Wayne County Pinnacle AeroPark, Ypsilanti Water Street Redevelopment, Eastern Michigan University Business School, numerous road widenings, class actions and many others. Mr. Pesick is a graduate of the University of Detroit Law School, 1978, and the University of Michigan, with distinction, 1974.